They would not stop being merry! After a long days work nothing is better than to sit down, it can be a quiet room or a room with a table and a few chairs. One can sit there and contemplating the next move in life. Is it to be solitude forever or the time of mingling. If it is the latter one needs to get busy by inviting the mingling type of persons along. As the non-mingling persons are usually not good at mingling. When the invitations have been sent out, preparations can begin by setting the table, bringing in provisions of food and drink. And then the games can begin upon the arrival of the guests in which case the end can not be seen. And they will not stop being merry. 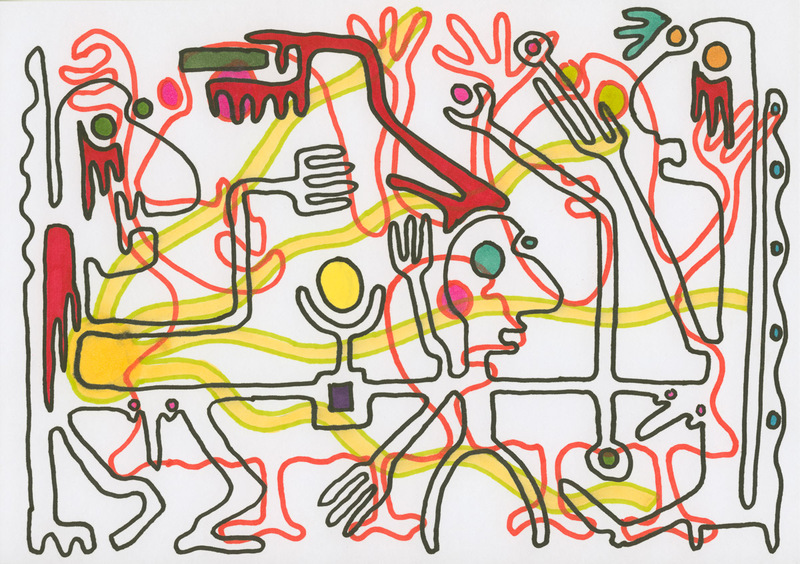 This drawing is on exhibition at East in Stockholm, and can be bought off me from the GalleryShop on this site.